Every child loves a party and putting on that extra special party wear, I know my two do! For me not only do I love a good party, I love shopping for the girls outfits. 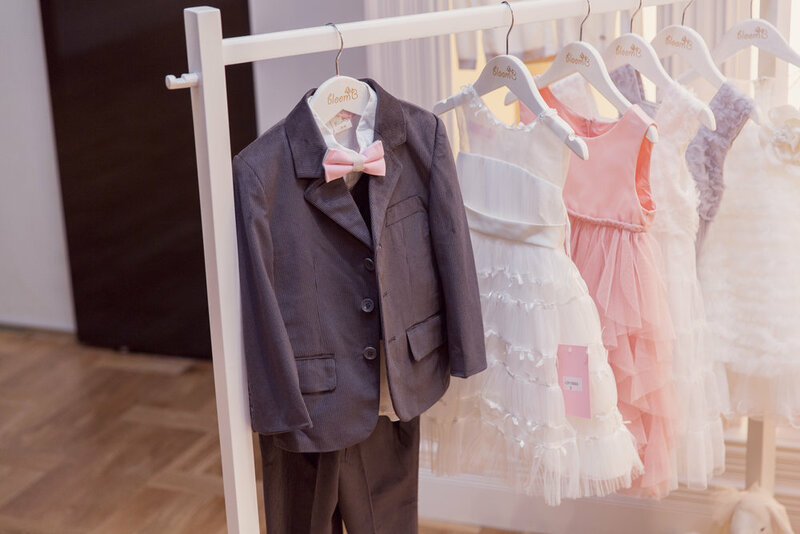 BloomB is a one stop shop for babies, girls and boys, for that special occasion or that something nice! 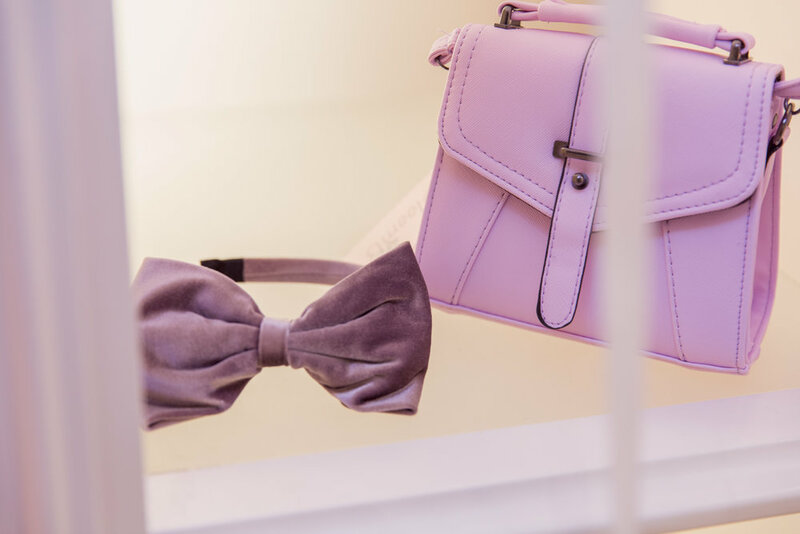 BloomB is a new brand to hit the Australian shores with their first store just opened in Westfield Doncaster. 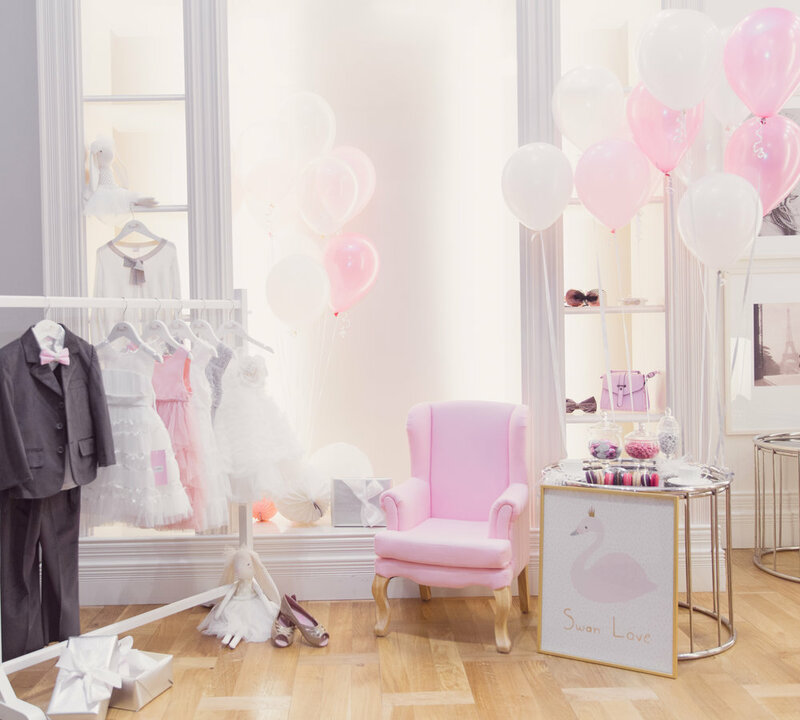 The store is located on Level 1, outside BigW, and is filled with a beautiful selection of clothing, shoes, bags and accessories perfect for a party, christening, wedding, actually any occasion, even the races! With Spring in the air we had so much fun and set the scene for a gorgeous garden party or a picnic at the races. 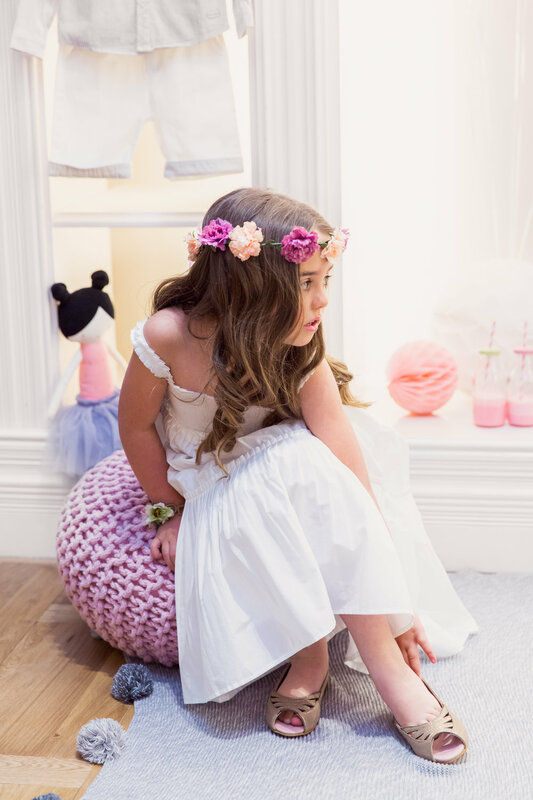 The girls dresses are a beautiful soft cotton and both styles come in a variety of colours. BloomB have a gorgeous selection of more relaxed party wear for any occasion. The pretty floral headpieces and bangles are the perfect accessories to compliment these gorgeous dresses. If I had a little boy I would be popping him in those super cute cotton shorts and shirt. I shopped all styling props at Westfield Doncaster which was great to shop everything under the one roof. Dolls Alimrose David Jones | Pink weaved ottoman, vase oppies, balloons BigW | Dolls pram, doll, rug, light box, cushion Adairs Kids | Cupcake stand and party accessories Target | Cupcakes Joy Cupcakes | Ice-cream bubbles Bardot Jnr. Clothing and accessories all bloomB. I love a special occasion party whether it be a wedding, christening or engagement where you can add a touch of glamour. 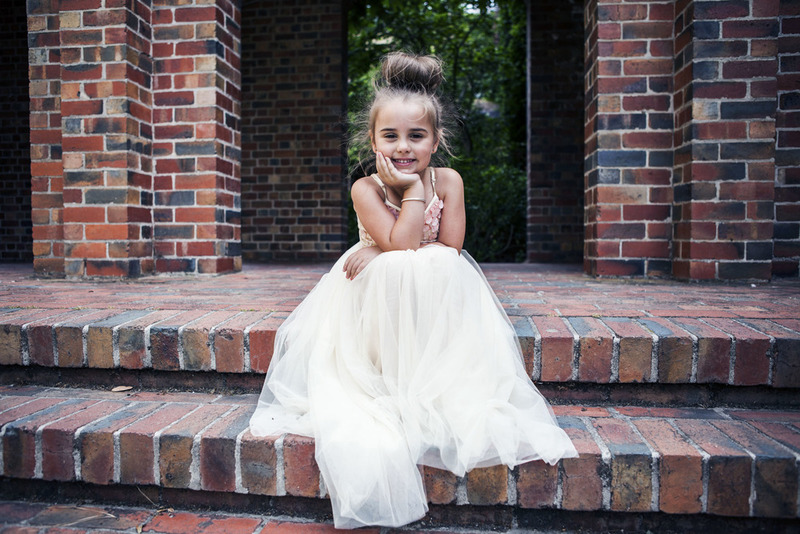 My girls think its super special to feel like a princess. BloomB have a great range of dresses made in sheer organza, shiny satins, soft cotton crepes, elegantly simple or with ruffles and lace. 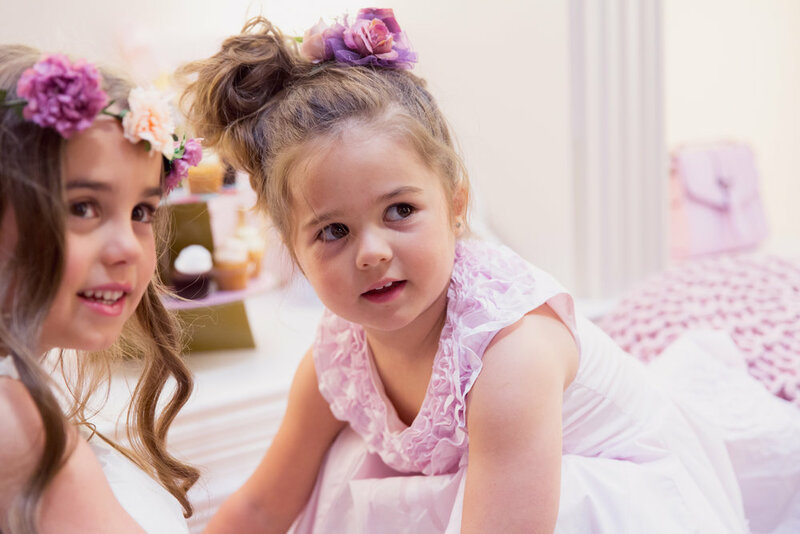 Both the girls dresses pictured above come in a few other tones and the store is filled with glamour accessories from headbands to clips, bangles to bracelets, ballet flats to a beautiful selection of handbags. For the boys there is a large selection of suits, shirts, bow ties and ties having all children looking super sharp! Dolls Alimrose and tea cup with saucer David Jones | Armchair and print Adair Kids | Lollie jars, lollies, balloons BigW | Serving plate and party accessories Target | Macaroons Koko Black. Clothing and accessories bloomB. 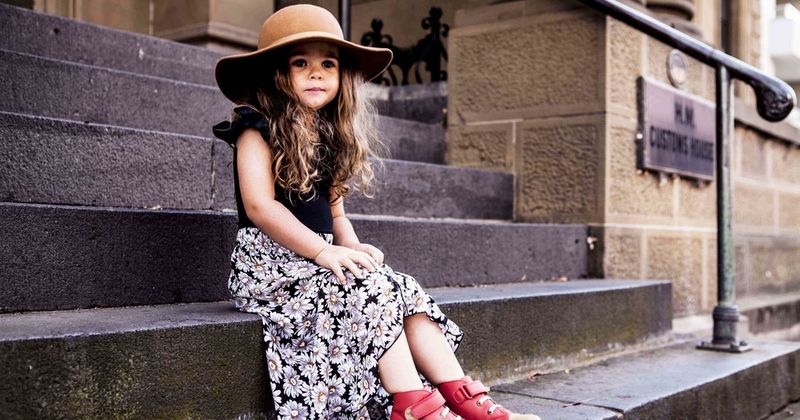 The styles are endless at bloomB to suit any occasion for your child. Pop into Westfield Doncaster to enjoy your bloomB experience you won't be disappointed.